PUTRAJAYA • The federal government is not an "outsider", Malaysian Prime Minister Mahathir Mohamad said yesterday in a rebuttal to Johor Crown Prince Tunku Ismail Sultan Ibrahim's remarks over the controversial Pulau Kukup issue. "Malaysians are not outsiders. The federal government is not an outsider. We are responsible for all things in the country," Tun Dr Mahathir said, after attending an event. Tunku Ismail, in response to a statement by federal Water, Land and Natural Resources Minister Xavier Jayakumar on the status of Pulau Kukup, had said that as "an outsider, you don't need to meddle in matters related to Johor". The Crown Prince said that only the Johor Sultan had jurisdiction to override the state Constitution. Pulau Kukup, located in the Strait of Malacca in south Johor, had been a national park since 1997. 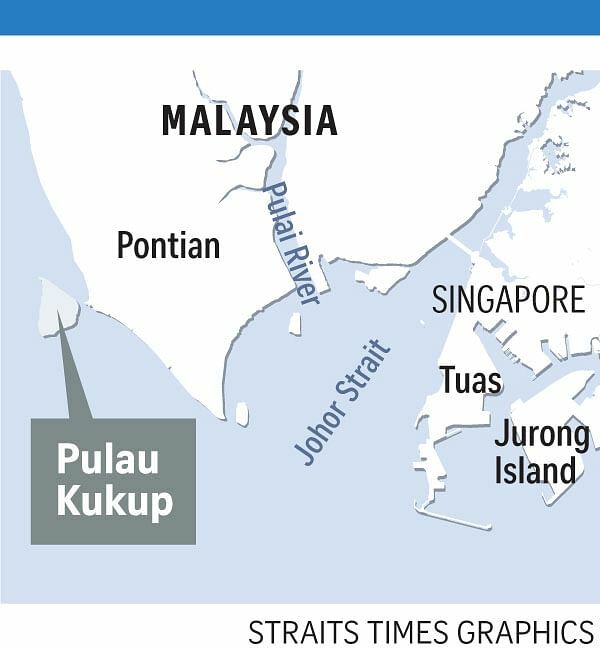 Malaysians were surprised when it was recently revealed that the Johor state government, under Pakatan Harapan, had quietly degazetted the island to make it the "sultanate land" of Johor. Known as the world's second-largest uninhabited mangrove island, Pulau Kukup is one of five Ramsar sites in Malaysia. Ramsar sites are wetland sites accorded international importance under the United Nations' Convention on Wetlands. Amid the brouhaha over the Johor move, Dr Xavier issued a statement last week saying that the island should continue to be managed by the state government. The island, he said, has more than 18 species of mangroves, with an ecosystem that could rarely be found, and was under the threat of extinction. Non-governmental organisation Lawyers for Liberty asked why the stripping of the national park status was done "silently", without any public announcement, until the gazette was leaked online. In response to Dr Xavier's statement, the Crown Prince wrote on his Facebook account on Sunday: "First of all, as an outsider, you don't need to meddle in matters related to Johor. "Secondly, no matter what statement or letter is issued, you have no jurisdiction to override the Johor state Constitution. The only one who can change the Constitution is the ruler." Dr Mahathir told a news conference yesterday that he hopes the Johor government will accept the federal government's decision to not pass the island's management to the Johor sultanate. "That is the stance of the federal government. I hope Johor will accept. Pulau Kukup should not be developed. It should remain as a forest reserve, particularly as it is a special mangrove forest." Responding to public comments about the matter, Tunku Ismail on Sunday evening wrote on his Twitter account: "I respect Dr Xavier as a minister, but I would suggest that in the future, perhaps he could work closely with the state." The Crown Prince said he does not have any ill intentions in reprimanding the minister. "The government has to work together for the country. A minister has the right to voice his opinion," he said.